Slow and steady weight loss is best. It really is. But I realize sometimes there are situations where you want to speed it up a bit for a few weeks. When you need to lose weight fast, there are some common sense things you should do, and there are some dangerous things you should never do. Below is a good overview of some “dos” and “don’ts” for losing weight fast - and safely. #1 Don’t - Whatever you do, don’t starve yourself. 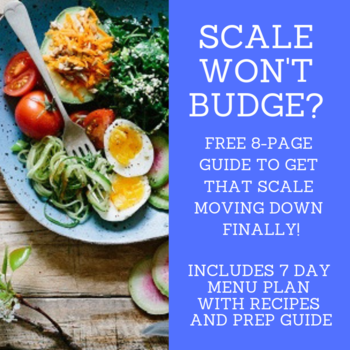 It may seem logical that eating very little or not at all would make weight drop rapidly off of your frame, but it can cause some serious problems. You only end up throwing your body into survival mode so it simply slows down the rate of fat burning and retains as much water as possible. #2 Don’t - Definitely don’t take dangerous supplements. There are plenty of weight loss aids out there that claim to help you burn fat and lose weight fast, but many of them contain dangerous stimulants that can cause heart problems, raise your blood pressure, increase your risk of heart attack and stroke, and cause permanent harm. Is it really worth it? No! #3 Don’t - Don’t buy into “miracle cures.” Snake oil salesmen have been swindling the public for years with their “magic cures” - and they simply don’t work. The internet is filled with these types of “miracle” products, but a good portion of them are complete scams. 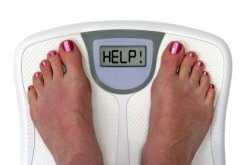 Not only will they not help you lose weight, they may put your health at risk, and you may get suckered into common “rebilling scams” and create a financial nightmare for yourself. So, what CAN you do if you need to lose weight fast? #1 Do - DO start drinking more water. It’s one of the easiest and safest ways to flush your body and release any water you have been retaining. Experts recommend drinking at least 64 ounces of water daily, but listen to your body on this one. Water can do wonders, but it isn’t a lot of fun running to the bathroom every two minutes. #2 Do - DO eliminate processed sugar and “junk food” from your diet. Eat mostly whole, healthy foods in their natural state - that means plenty of fresh vegetables, fruit, lean protein sources like fish and poultry, and low fat dairy products like cheese and milk. You won’t believe how good you will feel after just a few days of eating “real” food. See: Eliminate These Processed Foods, for Health’s Sake! #3 Do - DO listen to your body. Eat only when you are substantially hungry. When you are tempted to eat something, gauge your hunger on a scale of 0 to 10. Ten means you are ravenous, ready to eat anything that crosses your path. Zero means you aren’t hungry at all. Set a new goal to eat ONLY when your hunger level is at a 5 or above. That means your stomach will be growling and you will feel strongly that you need to eat something. Eat only until you feel that inner sensation of being satisfied - not full, but no longer hungry either. This may be challenging if you are a “mindless muncher” that regularly eats in response to boredom or restlessness, but obeying your body’s hunger cues like this is one of the fastest ways to drop even several pounds per week. #4 Do - DO start exercising, if you don’t already. (Check with your doctor first!) You don’t have to go straight from couch potato to pro athlete in one week, but at least make a commitment to moving your body for a little while each day. That means maybe walking around the block a few times a day, or getting on a stationary cycle at home, or maybe even joining a dance class. The more calories you burn, the faster your metabolism will be, and the easier fast weight loss will be for you. When you need to lose weight fast, common sense steps like these will give you the best results. Don’t do it it for too long and get back to a regular, slow and steady pace as soon as you can.